View More In Inventions & Inventors. Before Isaac Newton became the father of physics, an accomplished mathematician, or a leader of the scientific revolution, he was a boy living in an apothecary’s house, observing and experimenting, recording his observations of the world in a tiny notebook. As a young genius living in a time before science as we know it existed, Isaac studied the few books he could get his hands on, built handmade machines, and experimented with alchemy—a process of chemical reactions that seemed, at the time, to be magical. 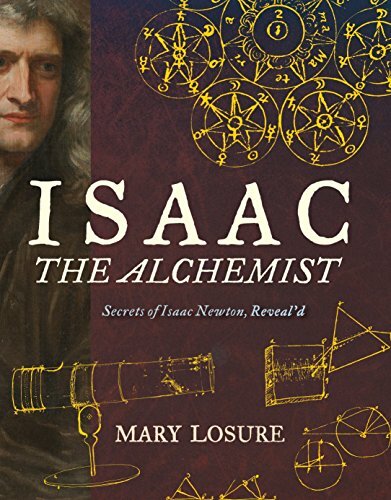 Mary Losure’s riveting narrative nonfiction account of Isaac’s early life traces his development as a thinker from his childhood, in friendly prose that will capture the attention of today’s budding scientists—as if by magic. Back matter includes an afterword, an author’s note, source notes, a bibliography, and an index.